Focus on alignment and full-body conditioning with a workout which emphasizes standing exercises which are powerful for improving movements and performance related to sports and daily life. Part cardio, part mind body, part strength training. 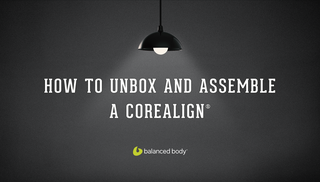 Get a CoreAlign overview and a beginner/intermediate workout! Explore shoulder and hip exercise progressions on the CoreAlign with Lindy Royer. 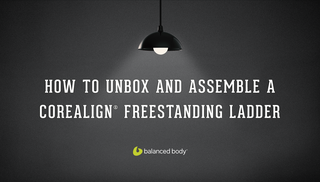 Discover how to use the unique features of the CoreAlign to strengthen, restore and enhance sports specific performance. 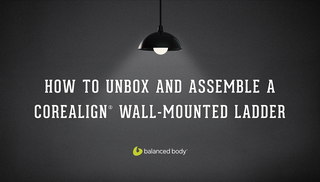 See how the CoreAlign can activate, balance and coordinate the anatomical systems we use in winter sports like skiing. 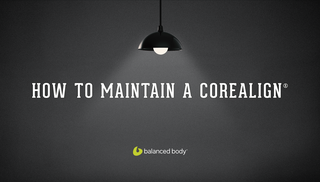 CoreAlign and Pilates are a perfect match! Nancy Myers of EHS Pilates takes you through a workout that shows you how seamlessly the CoreAlign can be integrated with Pilates. Gait expert Nancy Myers of EHS Pilates takes you through a gait-focused workout on the CoreAlign. Great for those with neuromuscular disorders, spinal cord injuries or gait dysfunction.